This podcast was sponsored by PagerDuty. A digital transformation requires DevOps — DevOps consists of individual teams that make up the building blocks of a successful digital journey. 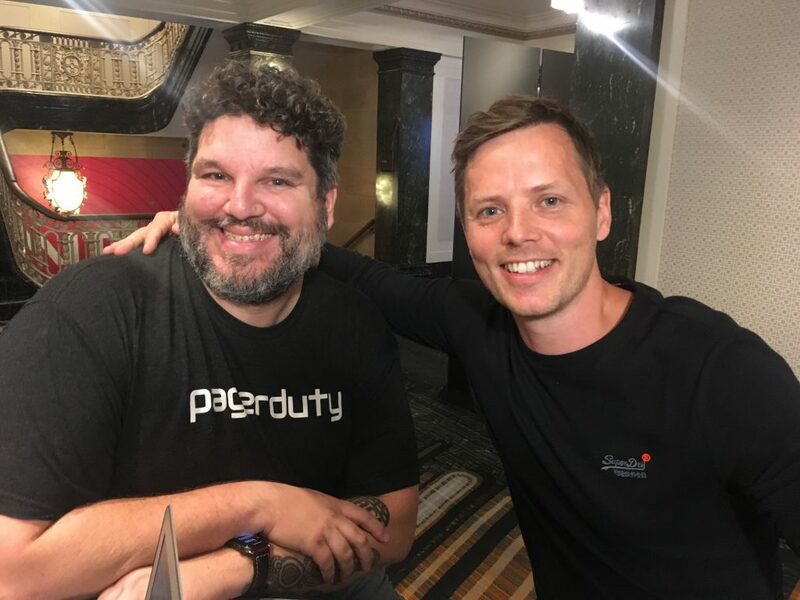 This was a major theme of a conversation between Ben Connolly, head of Digital IT at Vodafone; Matty Stratton, DevOps Evangelist at PagerDuty and Alex Williams, founder and editor-in-chief of The New Stack, held at the PagerDuty Summit in San Francisco last week. Vodafone, for example, which is at the early stages of its digital transformation, is relying on DevOps teams to boost its pace of delivery, responsiveness and its ability to innovate, Connolly says. The decision to set up teams within a DevOps structure can originate from the from the board of directors’ level or it can also find its genesis from within an organization, especially from the IT and systems development departments. 1:37: How are you thinking about DevOps at Vodafone? 3:30: What is your approach to teams as you go through the DevOps journey? 8:07: Do the teams define the workflows, or do the workflows define the teams? 11:47: What were the signals at Vodafone that brought upon the shift to DevOps? 15:04: Exploring the “commit-to-cash” metric.